Mara Clawson, Flapping Space, 2018, acrylic on canvas, 18 x 24 inches. Join the artists for a deeper look at individual artwork in the Buchanan Room (2nd floor) during the Artists’ Reception. VisAbility Art Lab artists: Corey Barbee, James Billian, Mara Clawson, Edward Chance Jr., Max DeMulder, Carlin Jones, Uriel Levitt, Shaun McDonald, Faith McLuckie, Tyler Mountford, Stanley Roth, Lindsey Schaufelberger, Cara Thompson, D’Anté Whitlow, and Justin Valenti. 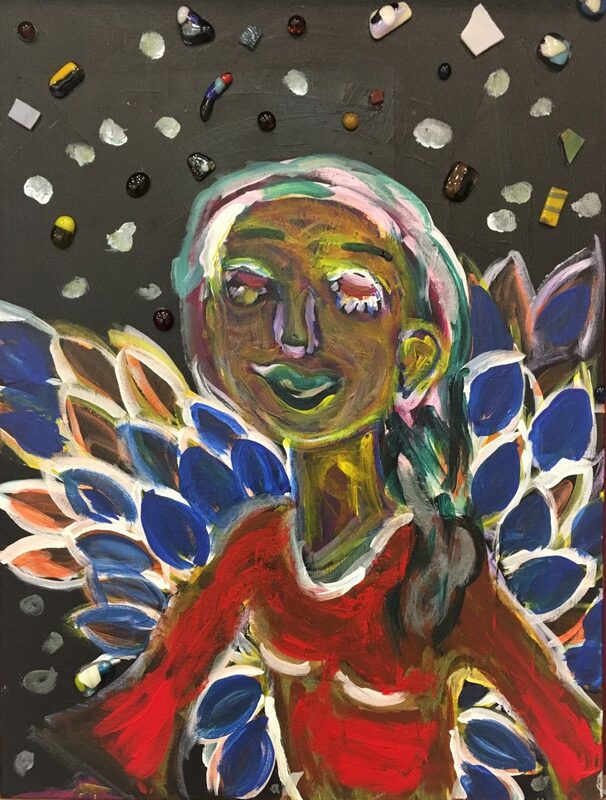 About the VisAbility Art Lab: The VisAbility Art Lab is a supported art studio at VisArts for emerging adult artists with autism and other disabilities who have a strong interest in making art part of their professional careers. VisAbility Art Lab provides artists with a supported studio where they can explore and develop their artistic talents, participate in workforce development and life skills training, and forge a deeper and more meaningful relationship with the fully inclusive creative community.